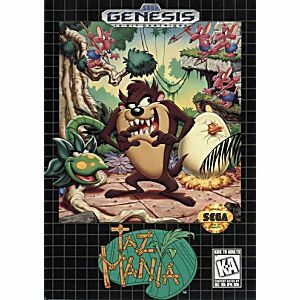 Taz-Mania Sega Genesis Game cartridge Cleaned, Tested, and Guaranteed to work! This is a must have game for the Sega Genesis. 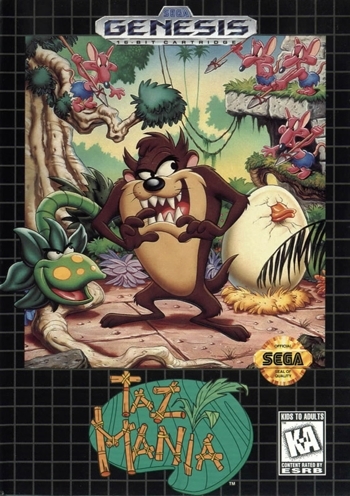 It employs a unique game feature with Taz's spin move. A graphically beautiful game with good gameplay and fun levels. Fun Gameplay with challenging levels and an interesting tornado attack. You can't go wrong with this Taz game. It's a pretty fun side scroller where you can spin your way across the levels. Good stuff.